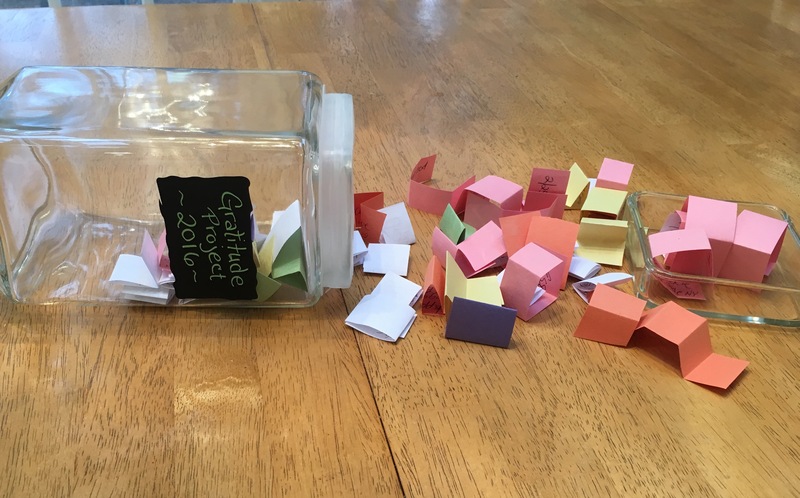 I kicked off 2017 by cracking open my 2016 gratitude jar, the one featured in an essay I wrote for my favorite website, Better After 50. I was going to take one long last look at the past twelve months. For a lot of people, 2016 was a tough year. It wasn’t my best year either. I experienced two enormous personal losses. Most significantly, my beloved father passed away and I spent a big chunk of yesterday fighting the urge to call him and wish him a Happy New Year. The second was the passing of our dear dog Midnite. Still, I read the notes of gratitude that I jotted down throughout 2016 and was reminded that even though some really bad things happened to me, the year wasn’t all bad. In fact, I enjoyed moments of pure wonderful. My writing life soared and I signed with an amazing literary agent. My son graduated high school and family traveled to be with us and celebrate his milestone. Both of my children came home for Thanksgiving and the winter holidays. As a newbie empty nester, I appreciate our family time and take nothing for granted. 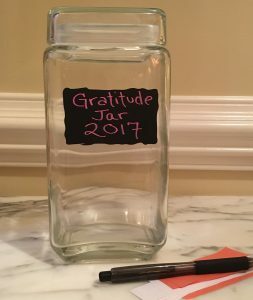 Last year, weeks and even a few months went by when I added nothing to my jar. But I didn’t fret over it. 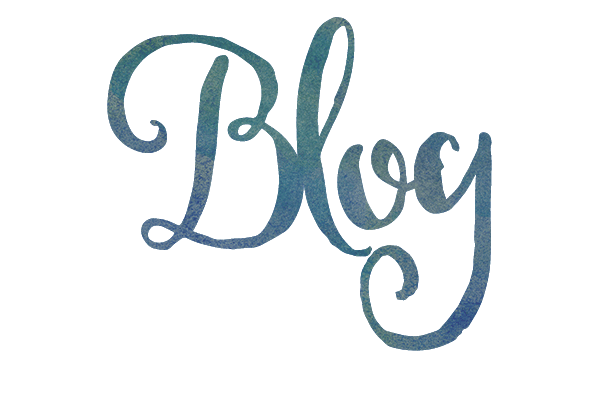 Instead, I quickly forgave myself, and played catch-up by recalling and jotting down a few things I was grateful for during the time that had passed, something that in and of itself was a worthwhile exercise. How do I feel about my gratitude project on January 1, 2017? I believe it is a beautiful gift that I gave myself. I am grateful for every one of those slips of paper. Some made me smile and laugh, others made me sigh, and a few brought on happy tears. They serve as tangible proof that for me 2016 played out like most other years; it was filled with things good and bad. I’m kicking off 2017 by celebrating and remembering all that was good. 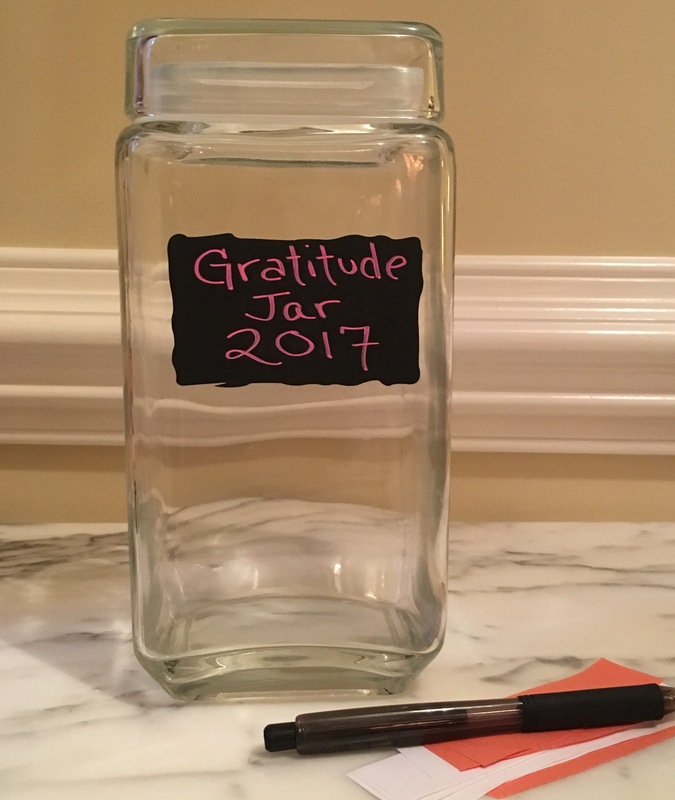 I don’t make New Year’s resolutions, but today, I’ve made myself a promise—I will start a new gratitude jar for 2017. 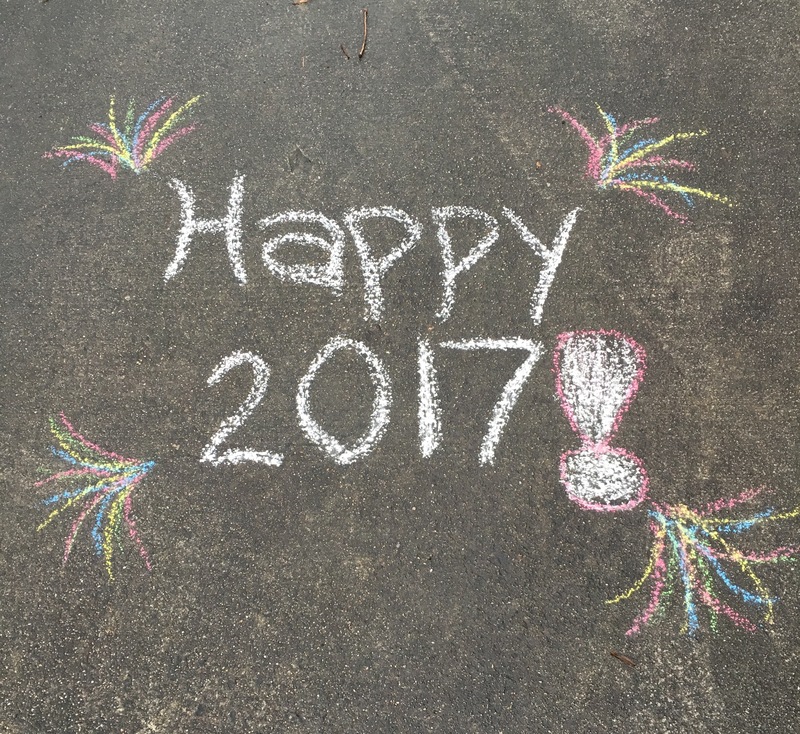 Wishing all of you a happy and healthy 2017!